Review of The Dig: Zoe and Zeus by Audrey Hart | What YA Reading? You’ve read Percy Jackson and The Olympians. You’ve marveled at the special effects of Clash of the Titan‘s remake. Greek mythology is not new. You must have heard the gods mentioned at some point; Athena’s intelligence, Hera’s jealous wrath, Zeus’s power. Zeus. What with his scraggly beard, eternal state of irritability and fatal lightning bolts, he is definitely the world’s oldest bad boy. But take away the age, the sourness, and the bad attitude and you’ve got–that’s right, ladies,– a hot, immortal, teenage boy. Who can fly. Yep, that’s the wholepackage. But wait–teenage gods? That’s right. Mix Greek mythology, high school cliques and a sarcastic heroine and you’ve got The Dig: an action-packed adventure with a hint of romance and a much-needed fresh take on the classics myths you thought you knew. Zoe Calder is that introverted teenager who frequents your high school. She skips school dances in favor of reading books, lives the bare minimum of a social life, and spends her summers digging up history. But on an archeological dig in Crete, her life changes when she breaks the rules and goes beyond the safe area cordoned off with red tape. Curiosity killed the cat… but it transported Zoe back in time to ancient Greece. Within minutes of arriving, Zoe sees a Nymph being attacked. This leads her to discover two things: 1, she’s actually in ancient Greece, not some festival or movie set, and 2, she has magical super powers. Zoe sets off to visit the Oracle in order to inquire about her newly revealed powers, and is sent by the Oracle to Mount Olympus (which is not the heaven you thought it was.) She meets the gods and gets entwined in a drama that couldwill probably end her life. And all in an effort to get back to the future… but when the time comes, will she really want to? The thing I most liked about Zoe is the fact that she’s not just playing the part of the introverted teenager–she is the introverted teenager. How many plot lines involve a ‘shy’ girl getting swept off of her feet by a hot guy? Too many. The Digis not one of them. Zoe actually prefers spending time by herself, and her passion for archaeology rings true. And although she does fall in love, she kicks some behind and saves herself. She may be introverted, but she is a strong heroine. Victory only lasts a few seconds, however, since, despite all the books I’ve read and movies I’ve seen, I seem to have forgotten the most essential truth about multiheaded Hydras. Cut off one head and another grows back with a friend in tow. It’s like trying to pluck eyebrow hairs. Zeus was a… conflicted character. On the one hand, he was really sweet and nice and patient. But that completely changed whenever he was with his friends. Zoe noticed this, however, and quickly made it clear that she was bent on avoiding superficiality. Whenever they had problems, they talked it out. Such a cute couple! Be that as it may, I don’t see how Zeus was ready to give up so much for Zoe. I understand that he was fed up with his god friends, but what he sacrifices during the finale of this book is crazy. And completely unpredictable. And riveting. And sweet. But crazy. Let me just talk about the world building for a while. My absolute favourite part of ancient Greece is the vale of the Nymphs. It reminds of Willy Wonka’s Chocolate Factory, and I love it! I must also applaud Audrey for the world building of Olympus’s society. Hera’s monarchy and the way the 6 couples interacted– you will not expect who dates whom! — was entertaining in a high-school-clique sort of way, with just enough jealousy and power that you know that what you’re dealing with is not bickering teenagers, but rather gods and goddesses that could kill at any given moment. Mount Olympus was quite the escape! One more thing that I need mention is the reference to our media; the comments on Rhianna’s Umbrella and Kim Kardashian’s TV show were really quite amusing. Or maybe it’s the way that the gods reacted to them. Either way, this had me chuckling. Finally, The Dig deserves 3.9/5 stars. A light read, a fresh take on Greek myth, and a hilarious, action-packed plot. Love it. 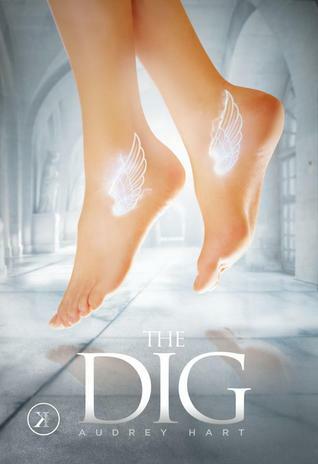 Pingback: Giveaway: The Dig by Audrey Hart Winner! 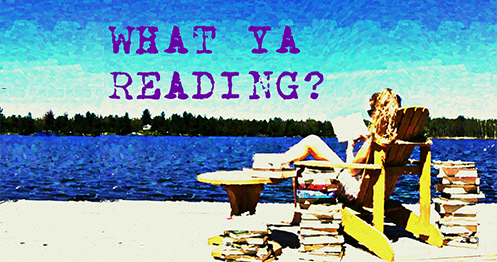 | What YA Reading?